Until recently, fake meat has tasted about as bad as it sounds. To a meat eater, the results were unconvincing at best and nearly inedible at worst. But now, a new generation of high-end fake meat companies are changing their industry for the better. 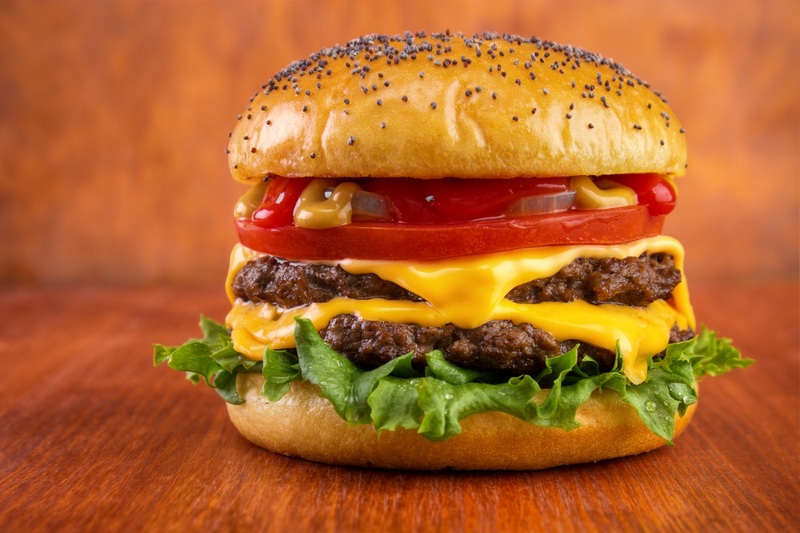 Rather than selling to vegetarians, they’re working hard to win over folks who love a good cheeseburger - but want to cut down for dietary or environmental reasons. And they’re attracting interest from high-profile investors. Why are UBS (NYSE: UBS), Bill Gates and Google Ventures all hungry for a piece of the action? Thanks to a variety of scientific innovations, these new fake meats are incredibly realistic. And they have a big opportunity to disrupt the real meat market. Let’s look at how and why these burger impostors are becoming such a hot investment trend. In truth, there isn’t one single breakthrough behind the new fake meat. Over the past few years, companies have been thinking outside the box with their production techniques. They all hope to elevate the veggie burger beyond the sad beige patties we grew up with. Perhaps the most advanced faux burger tech out there is cultured meat. Scientifically speaking, cultured meat is real meat. It’s just grown cell by cell in a lab - rather than in a living animal. The process is similar to tissue engineering. That’s the cutting-edge practice of synthetically growing real human organs for medical use. However, we’re not at a point where we can put a lab-grown kidney in a living human patient yet. And we’re also not at a point where we can produce lab-grown sirloin at an industrial scale. This not-so-fake meat isn’t far off, but in the meantime, investors are focusing on high-end plant-based products. There’s been tremendous innovation in this field as well. In recent years, startups like Beyond Meat and Impossible Foods have been working to “reconstruct” meat out of plant-based foods at the cellular or molecular levels. As an example, Impossible Foods adds an iron-rich vegetable juice to its fake ground beef. The dark red juice mimics hemoglobin, a blood protein that gives red meat its rich color and flavor. 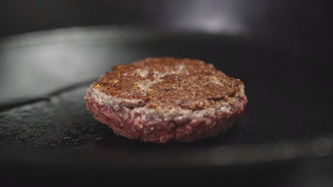 As a result, its burgers sear when cooked and “bleed” when bitten, just like the real thing. If you serve them rare, they’ll even have a juicy pink center. You don’t have to be a PETA supporter to understand the market potential of these products. Both Impossible Foods and Beyond Meat burgers contain significantly less fat and cholesterol than their beef counterparts. They’re just as protein-rich and filling as the real thing. But they contain much less of the artery-clogging, possibly carcinogenic bad stuff. High-end fake meats also appeal to carnivores who are concerned about food safety and sustainability. Meat production puts quite a strain on our planet. 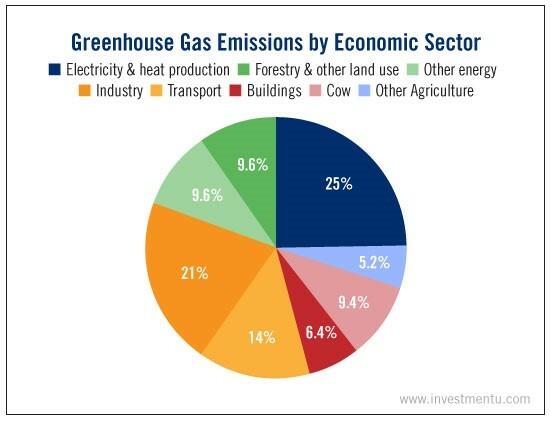 The cattle industry alone is responsible for almost 10% of all greenhouse gas emissions. And as our Editorial Director wrote in a recent Lecture Notes, a lot of our meat is quietly imported from developing countries with dubious standards of food safety. Even if it’s not labeled as such, there’s a decent chance your beef was grown on a dirt-cheap farm in Brazil or Mexico. By contrast, these fake meat companies are all-American. And they strictly observe our country’s standards of food cleanliness. As we mentioned before, these companies aren’t just trying to hawk their wares to animal rights activists. Their promotional media obviously targets people who appreciate a nice juicy piece of dead cow. Meat eaters, take a look at this still from an Impossible Foods ad and tell me it doesn’t look delicious. At the moment, all of the high-end fake meat startups are private. Some, like SuperMeat, offer equity crowdfunding options. (Check out the research services from our friends at Early Investing to learn more about that process.) While we wait for these fake meat pioneers to go public, you can invest in their backers. UBS and Google Ventures - a subsidiary of Alphabet (Nasdaq: GOOG), both have big stakes in fake meat startups. Thanks to the power of science, fake meat is no longer a cardboard-like disappointment only palatable to vegetarians. It’s primed to become one of the hottest investment trends of 2017.